How do I give a gift membership? Click here now, call (314) 577-5118 Monday through Friday, 8:30 a.m. to 5:00 p.m., or visit the Missouri Botanical Garden, Butterfly House, or Shaw Nature Reserve. When purchasing a gift membership online, be sure to select the “I wish to give a gift membership” box on the first page of the membership form; it’s easy to miss, so keep an eye out for it! 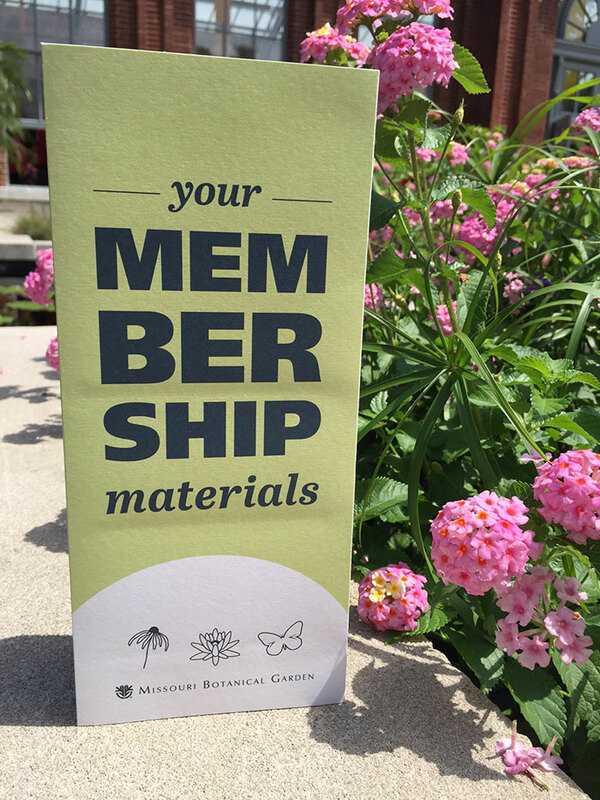 When giving the gift of membership, you can customize the package with a special message to the recipient and select whether we mail the membership packet directly to the recipient or to you. When purchasing online, you can also download and print a gift membership certificate to pass along to the recipient before the complete membership packet arrives.